Thanksgiving is over and I know you may have gobs of leftovers in your refrigerator. I’m not going to help you remedy that in the ways you might expect. This year, rather than writing the obligatory Thanksgiving leftover recipe, I’m going to suggest you leave those leftovers alone. Firstly, because leftovers are one of the best parts of Thanksgiving, just as they are. Secondly, you deserve a break. You don’t need to do any more cooking. Snack on those leftovers throughout the weekend. Reheat them and enjoy them again, as if you’re having a Thanksgiving meal a second and third time. Or even better, give them away. Send those leftovers home with family and friends. If they’re like me, they’ll probably be happy to have them. Here’s what I recommend instead of reinventing your leftovers: make yourself a cocktail. Then, kick your feet up. Plug in some Christmas lights. Listen to holiday music. Light a fire in the fireplace. 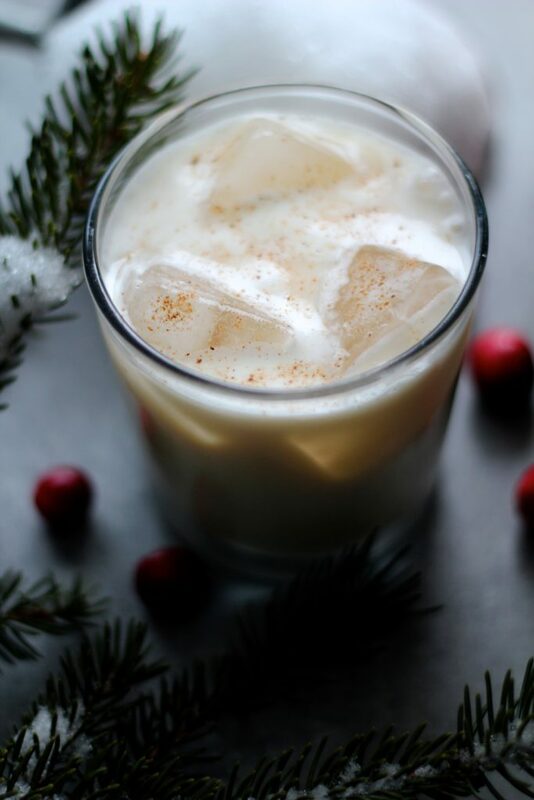 Sip on this festive White Christmas Cocktail made with amaretto, vodka, cream, and nutmeg. And for goodness sake, don’t do any more cooking this weekend. Place ice into a cocktail shaker. Add the amaretto, vodka, and cream. Shake vigorously. Pour into a short cocktail glass (Ice optional). Top with a pinch of nutmeg. If you like your cocktail a little bit sweeter, like I do, stir in a little simple syrup to taste. 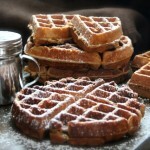 *Note: To make simple syrup, add equal parts water and sugar to a saucepan over medium heat. Cook, stirring, until the syrup is hot and the sugar has completely dissolved. Cool and store in the refrigerator in a covered container.